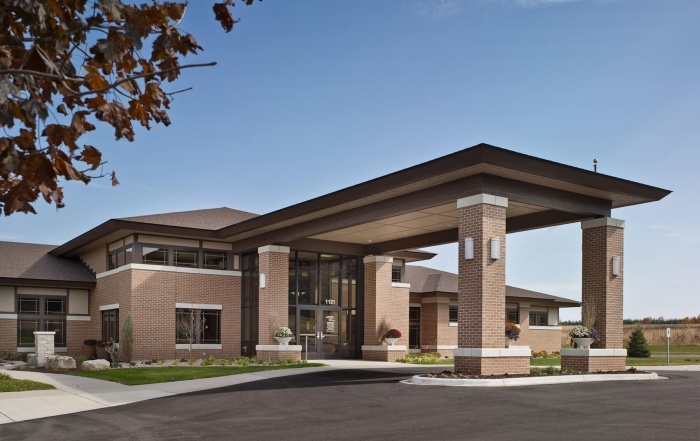 Columbus Community Hospital Surgery Center - Vogel Bros. Building Co.
Columbus Community Hospital expanded its campus with the addition of their new Surgery Center, an expansion that includes remodeling of the current registration, coffee shop, gift shop, medical imaging, and clinic areas, and provides a “main street” connection to hospital services and clinics on the campus. 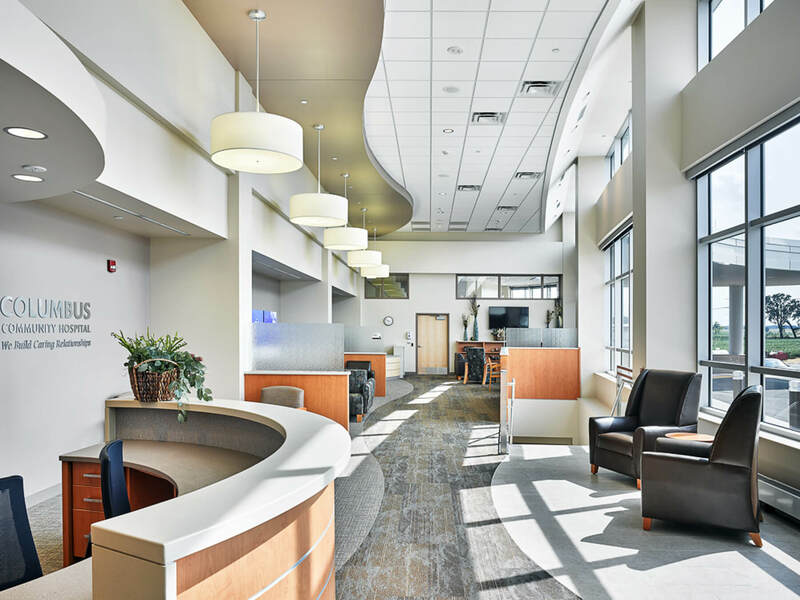 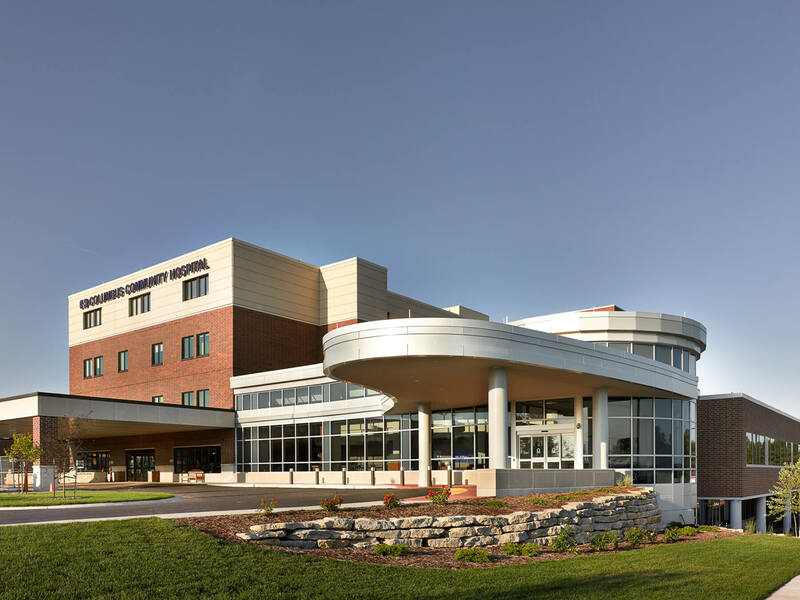 The two-story, 36,000 square foot addition was added to the southwest side of the hospital creating a new focal point for the building’s main entrance. 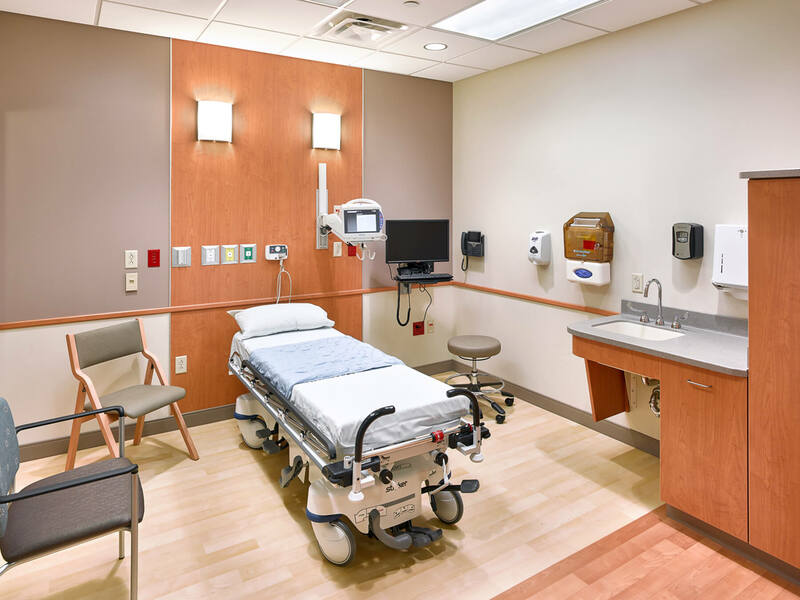 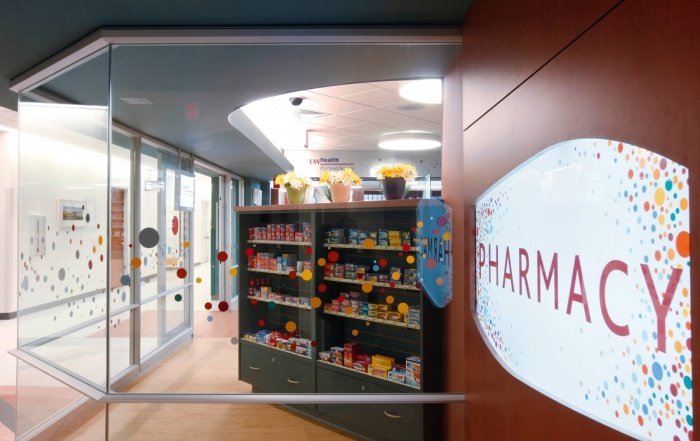 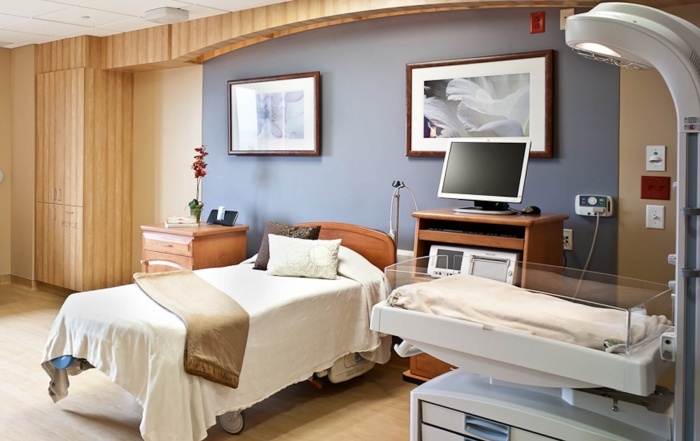 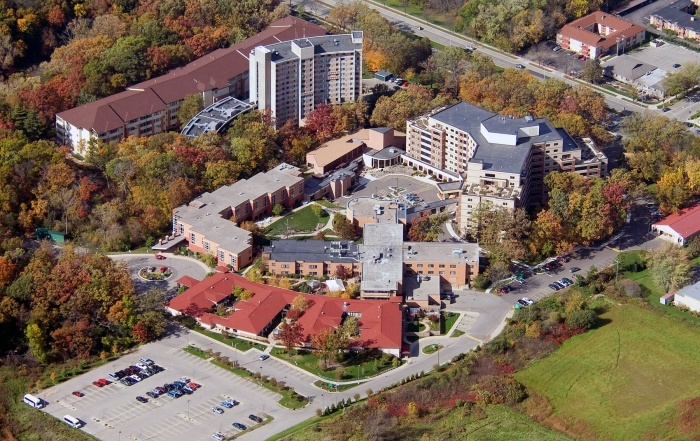 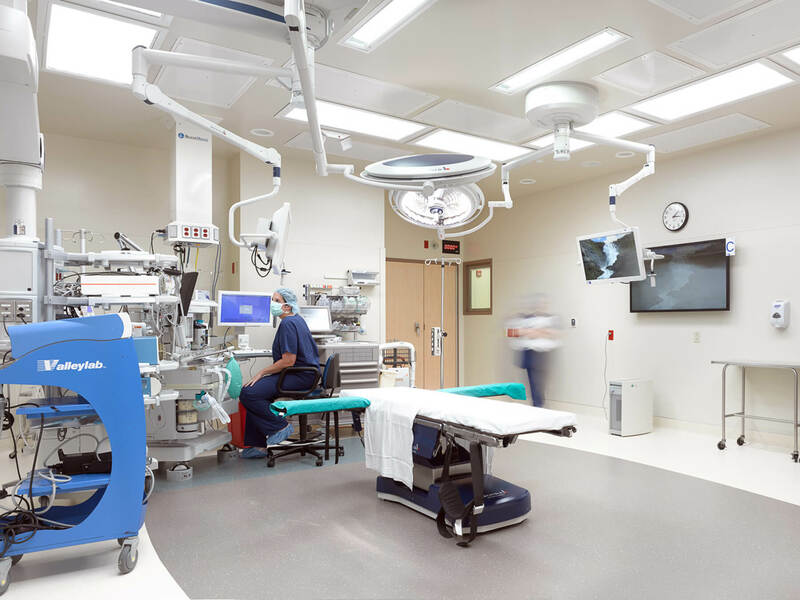 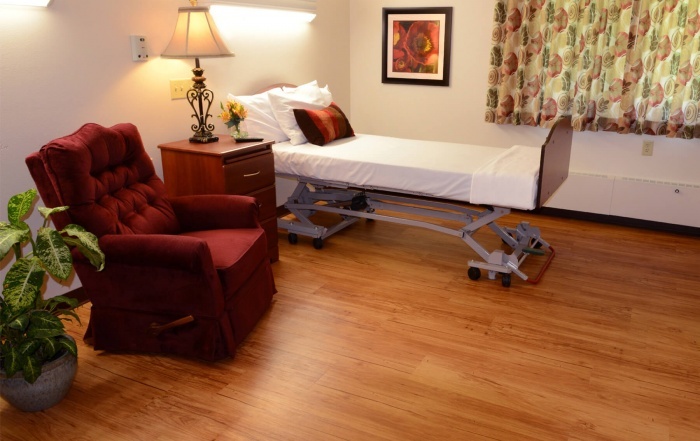 The construction and renovation of the other spaces was completed in twenty phases, to accommodate the hospital’s need to remain fully operational.